Grapeseed oil is a light yellow oil that is derived from crushing grape seeds to extract the oil. It’s a by-product of winemaking, and ensures that all portions of the fruit are used. It’s specifically made from wine grapes—Vitis vinifera—rather than the edible kind from your grocer. It has a light, pleasant taste, and a high smoking point, so it’s perfect for cooking or for adding to raw food recipes. Grapeseed oil also has many benefits for balancing problematic skin, and healing blemishes and scars. Grapeseed has a high value in the cosmetics industry. It can be added to cosmetics, or used directly from the bottle to smooth and soften your skin. It contains a higher percentage of linoleic acid than many other carrier oils. It’s suitable for both men and women, and can also be used for shaving, and encouraging growth and thickness of hair. This oil is also affordable, and is a natural alternative to buying questionable creams and lotions from the supermarket, that are full of fillers and harmful chemicals that can cause allergic reactions. Most people can tolerate using grapeseed oil on their skin without experiencing any ill effects. Why Choose Grapeseed Oil Over Others? Grapeseed oil is suitable for your skin because of its healing properties. It contains linoleic acid, an omega-6 fatty acid. These fatty acids are utilized by your body’s metabolism, and this is one that you must obtain from food as your body doesn’t synthesize it. Without fatty acids, your body would experience ill health. You can get these fatty acids naturally from the foods you eat, and by direct application from a bottle of oil. Grapeseed oil can be in the same class as vegetable oils, as it’s both edible and can be used for cosmetic applications. The grapeseed oil also contains antioxidants that can fight off free-radicals, those harmful substances that can get into your body and cause disease. Grapeseed oil also contains other biologically active compounds to benefit health and skin. Grapeseed oil is helpful in controlling the moisture of the skin, and also contains vitamin E. It’s suitable whether you have oily or dry skin. Grapeseed oil is commonly used as a carrier oil in aromatherapy, where you add various essential oils to dilute them in carrier oil, making them safer for application to the skin. Other benefits of choosing this oil over other types of carrier oils or vegetable oils is because it is lightweight and not as greasy as the others. It also doesn’t have an unpleasant smell, such as castor oil may have. Since grapeseed oil has many natural compounds it can also naturally benefit the skin in many ways. Here are 5 ways that you can use grapeseed oil to help heal your skin. Moisturizer for skin. Normally if you used an oil on your skin you’d find it too greasy, but grapeseed oil is nice and light, and will leave your skin feeling soft and smooth. It has a light fragrance that won’t be noticed once it’s been applied to your skin. Perfect for sensitive skin. Many people with sensitive skin can’t use regular moisturizers or lotions as they’re packed with ingredients that can cause itchy red inflammation. But grapeseed oil is safe and should not cause allergic reactions in most people, as it’s considered one of the hypo-allergenic oils. Skin-tightening properties. This oil contains natural astringent properties. This results in skin toning and skin tightening. Rebalances oily skin. Experts say that oily skin is caused by the over-production of oil because the skin thinks it’s dry. Using a non-comedogenic type of moisturizer such as grapeseed oil will provide the nourishment your skin needs, and help to rebalance your oily skin. Moisturizes your scalp. Using this oil on your scalp will not only soften your hair, but discourage the production of fungus that leads to dandruff. Grapeseed oil is commonly used for a variety of purposes, but if you have problematic skin, you can also use it to heal your skin condition too. Reduce wrinkles and scars. Have you noticed how many creams and lotions you see in the stores use a grapeseed oil base? This is because the oil is light with many beneficial properties. It contains vitamin D and antioxidants that will help to reduce fine wrinkles and lines over time. Healing and prevention of acne. Acne can be a problematic skin condition that can cause scars over time. The polyphenols contained in the oil provide anti-inflammatory properties to help the blemishes to heal up, while the astringent properties of the oil help to keep the colonies of bacteria that cause acne in check. Prevent and decrease stretch marks. There are a variety of causes for stretch marks, from a sudden growth spurt in the teens, to sudden weight loss, and also pregnancy. When the skin rapidly changes it can cause the connecting fibres in the dermal layer to tear and stretch. This results in an upper layer of long red lines. These lines eventually turn silver or white. These lines are unsightly, and if left alone, may only slightly improve over time. It’s generally agreed that treatment should begin during a pregnancy, and several weeks past the birth of a child to reduce these lines, as it’s more difficult to remove them once they are set. You may also spread oil on the skin to decrease any unsightly stretch marks caused by growth spurts or sudden weight loss. Dark under eye circles. Under eye circles can make your face appear dull and lifeless, and give you the look that you’re always tired, even when you’re not. Grapeseed oil is safe to apply around your eyes, and is much better than using a store brand of cream or lotion, which can cause burning if you get it in your eyes. Grapeseed oil is natural and won’t cause any eye irritation or harm if it gets into your eyes. Scars. 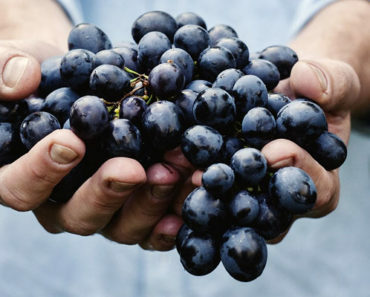 Grapeseed oil can also be used to heal up new or old scars. The sooner the better, but it can also provide healing properties to scars that have been around for years too, so they slowly fade away. Grapeseed oil is simple and easy to use. You can simply pour out a few drops onto your fingertips and use it to rub into your skin. You may wish to use these tips for optimal benefits. Wash your face at least twice a day. Place about three drops of oil on your face. Gently use your fingertips to rub the oil in. If you put on too much, use a tissue to pat your face. Apply the oil after each time you wash your face. Use the oil on face, scalp, hair, or body. If you’re treating a specific problematic area, dot an extra drop of oil on that region: under eyes, dry elbows or knees, blemished chin, etc. A simple grapeseed oil mask can be used on your face once a week. It only takes two ingredients. Use your fingers to apply it to your face. Stand over a sink, as the mixture can drip a bit. Massage the mixture over your face for 30 seconds so that you also achieve a gentle exfoliation of your skin. Leave your mask on for 5 minutes. Relax and enjoy the smell. Use a clean and wet facecloth to remove the mask. Dry with a clean dry towel. No need to apply moisturizer. Avoid cosmetics, to give you skin a chance to breathe and heal. Repeat your grapeseed skin mask once a week. Grapeseed oil is one of the hypoallergenic oils and has few side effects or precautions, but keep these tips in mind should you experience any complications when using it. If your skin becomes, red, itchy, or inflamed after usage, you may have had an adverse reaction. Discontinue use. Don’t be afraid to rub more into your skin if it’s extra dry. It’s best to use more than too little, and you can always pat excess off with a tissue. Note the expiry date on your grapeseed oil bottle and discontinue using it after that date. You can always use it for cooking or to make salad dressings if you’re worried about using it up by the expiry date. Do not use your oil if it smells rancid, or has turned a cloudy colour. Toss it out immediately. It’s best to pour a few drops out of the bottle, rather than using your fingers to rub around the rim, in order to avoid contaminating the oil with whatever substances may be on your hands. Some people like to pour the oil onto a q-tip or a cotton puff before application to the face. Store your grapeseed oil away from light, moisture or heat. Keep it in the back of a cupboard where it’s less likely to be knocked over and have the glass bottle break. Grapeseed oil oil can be used for more than facial or body skin, it can be used all over your body. Increase the HDL—high-density lipoprotein or good cholesterol in your body, while naturally lowering LDL—harmful cholesterol—in your body by taking it as a supplement. Massage the oil into your hair and then wash your hair normally. You’ll be able to forgo the conditioner. The oil will aid in helping your hair to grow faster. The vitamin E and fatty acids will all work together to provide nourishment to your hair and follicles. The oil will also assist in strengthening your hair. Use it to massage around the dry cuticles of your nails. Add the oil to split ends to make them less dry and make your hair shine. Works to combat dandruff by providing antiseptic properties to the bacteria that cause dandruff. Works as a natural supplement to boost your heart health. Aids in lowering bad cholesterol which will naturally prevent strokes. Useful for improving circulation and healing bruises, spider veins, and varicose veins. Use for shaving face, legs, etc., instead of shaving creams, gels, foams, or lotions. Useful as an anti-inflammatory. 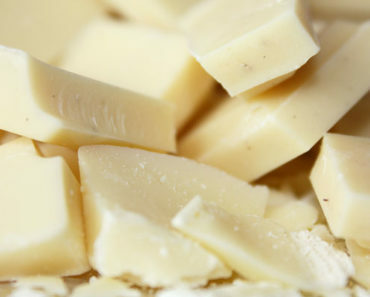 Use to make into a cream with essential oils to reduce pain and swelling from arthritis. The antioxidant properties of grapeseed oil can naturally prevent many types of cancer, including: breast, lung, prostrate, colon, and stomach. Useful for treatment of wounds after surgery, to aid in healing and reduce the risk of infection. Can also be used for small cuts, scrapes, and scratches. Use as a carrier oil to make massage oil. 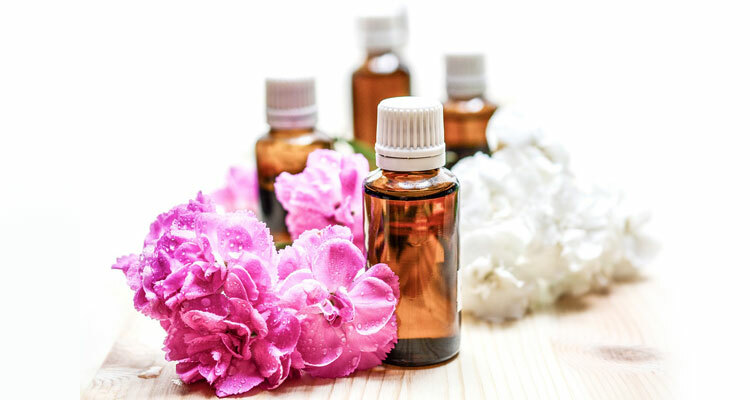 Essential oils such as eucalyptus, lavender, peppermint, and clove can all be mixed together to create soothing massage oils and creams. Grapeseed oil is not only affordable, one bottle will last you a long time. You’ll not only save money over time, but get to experience the many beneficial health benefits and properties. Once you use your grape seed oil for several weeks, you’ll soon begin to see how naturally healthy your skin looks. You may even be able to ditch some of your cosmetics, as you’ll no longer have to cover up unsightly red skin or blemishes. Soon you’ll see for yourself how grapeseed oil can make your entire body glow, all without expensive cosmetic creams and lotions full of unknown ingredients. 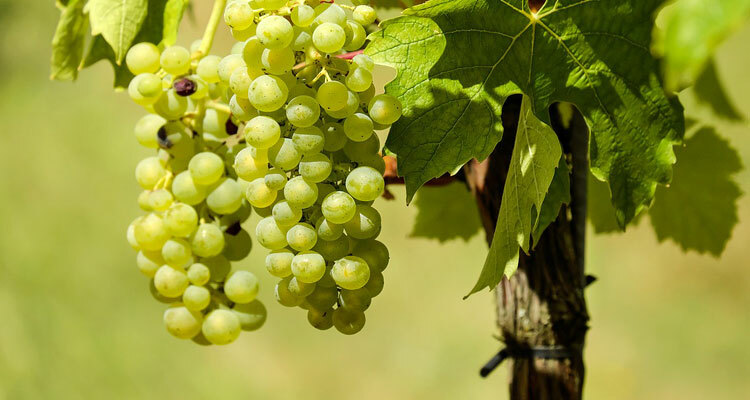 Grapeseed Oil for Hair Growth – How Effective Is It? 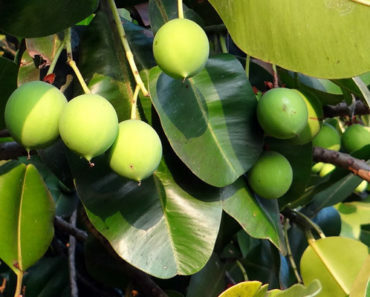 12 Miraculous Benefits of Tamanu Oil – Is It Safe to Use? 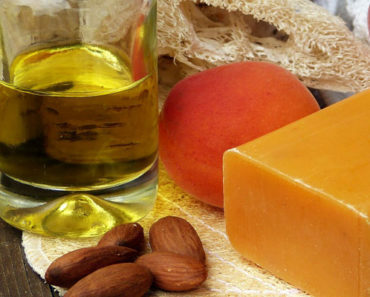 How to Get Rid of Dark Circles with Almond Oil? Castor Oil for Stretch Marks – How Does it Work? Thank you so much for such pertinent information. I can’t wait to try the recipes all over my body and hair. I first learned about the product from a cancer patient. Check your inbox, we've sent you a verification email. Lavender Oil for Face – Top 6 Benefits and How to Use It? Find Out How Castor Oil Can Benefit Your Lips? Olive Oil for Eyelashes Growth – How Effective Is It? Milk Thistle for Acne – How to Use It the Right Way?